Ouargla is the capital city of Ouargla Province in the Sahara Desert in southern Algeria. It has a flourishing petroleum industry and hosts one of Algeria's universities, the University of Ouargla. The commune of Ouargla had a population of 133,024 in the 2008 census, up from 112,339 in 1998, and an annual population growth rate of 1.7%. 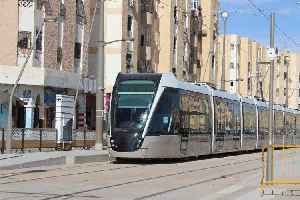 However, including the commune of Rouissat, found in Ouargla's urban area, gives a total population of 191,136. 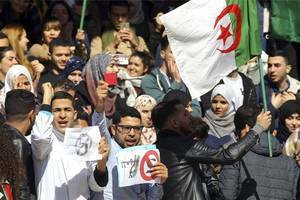 Algeria's army chief has said that they are considering all options to resolve a national political crisis but that “time is running out” after weeks of protests unseated the two-decade rule of..